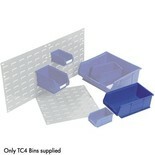 24 louvre panel mounted medium and large polymer bins. 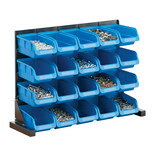 Ideal for parts storage in workshop or office. 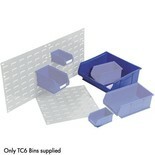 *Contents of trays not included. 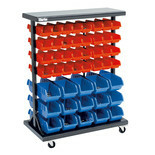 Keep work areas clutter free with this compact storage bin rack. 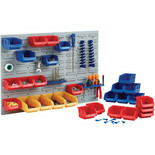 Store nails, screws, components etc. 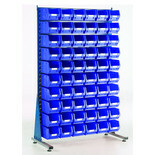 Can be wall mounted or used as a free standing unit. 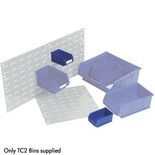 24 louvre panel mounted polymer bins. 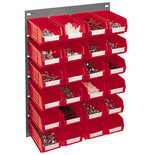 Ideal for parts storage in workshop or office. 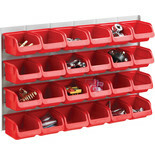 Ideal for garages and workshops, keeping working areas free of clutter. 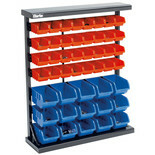 Comes complete with 47 storage bins. 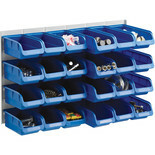 A pack of 10 semi open fronted storage bins designed to be stacked or simply hook onto our range of wall mounted louvred panels.Other sized tubs available. 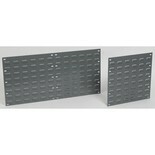 Strong wall mounted steel double indented louvred panel.Click here to download the wall mounted louvre panel guide. 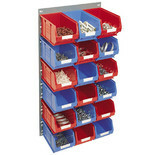 A pack of 20 semi open fronted storage bins designed to be stacked or simply hook onto our range of wall mounted louvred panels.Other sized tubs available. 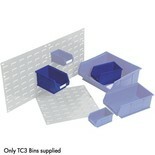 A pack of 5 semi open fronted storage bins designed to be stacked or simply hook onto our range of wall mounted louvred panels.Other sized tubs available.